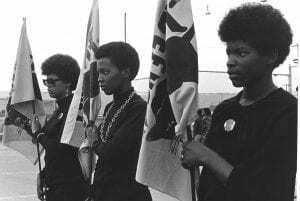 Stanley Nelson’s two hour long documentary about the Black Panther Party is basically an instruction manual on how to be the vanguard of the revolution. Insightful interviews with prominent members such as Kathleen Cleaver and Elbert Howard, both still activists today, as well as an impressive amount of original footage, show how the movement worked: From their social aid programmes to their media-savvyness to their armed resistance. Without explicitly saying so, the film makes it clear that a lot of the issues the Panthers were fighting are still relevant today. 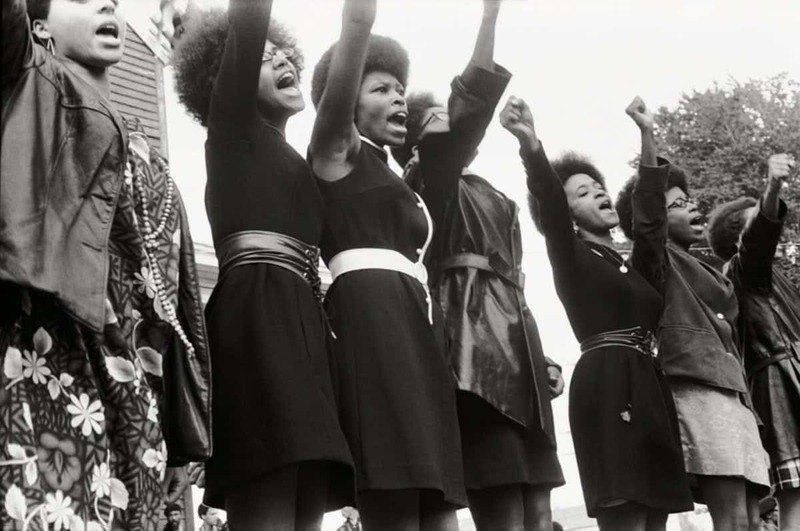 The Black Panthers – Vanguard of the Revolution is available on DVD. This Changes Everything does not want to be just another scary presumptuous climate change documentary. Naomi Klein, whose book it is based on, and director Avi Lewis, try to make this one different. Not to overwhelm the viewer with scenarios of doom, but to inspire hope, focusing on local activist groups around the world who are fighting against the destruction of their environment. Backing this up with a solid analysis of the relationship between capitalism and climate change, This Changes Everything will not leave you in despair, but determined to fight. This Changes Everything is available as VOD on itunes. More than a portrait of Martin Luther King, Ava DuVernay shows the power of the collective, the strength of a unified movement. She does not fall into the pitfalls of fictionalised historical heroes and does not idealise or sentimentalise her subject. David Oyelowo’s performance show a complex personality with flaws and contradictions, but ultimately driven by the desire to rouse the nation and drive change. Of which, the film makes clear, more is still needed today. 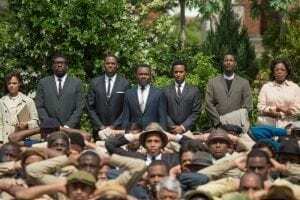 Selma is available on DVD. 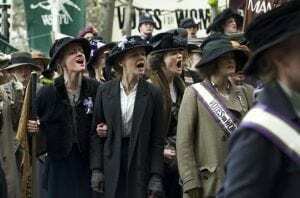 With its violence and darkness, Suffragette drives the point home how bad things were for women little more than a hundred years ago and still are in many parts of the world. While it invites to celebrate how far we’ve come since then here and fails to address a number of issues that could have added more layers to the story, it does carry the message that fighting for justice isn’t easy, but must be done. Suffragette is available on DVD. Morgan Neville didn’t set out to make a political film. He had just met world-renowned cellist Yo-Yo Ma and succumbed to his charm and enthusiasm. So he decided to document Yo-Yo Ma’s Silk Road Project, an ensemble made up of musicians from all over the world, each playing a traditional instrument from their country of origin. The political just happened during the two years of filming with musicians from Syria, Iran, the USA and China. The Silk Road Ensemble isn’t a political movement, but it reminds us of the shared cultural heritage and the power of music to cross borders. And Yo-Yo Ma’s charm and enthusiasm are truly infectious. The Music of Strangers will be released in UK cinemas on 18 November.